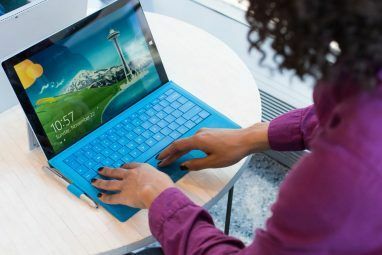 Windows 7 features a lot of improvements over Vista, but Microsoft did decide to drop some features in its latest operating system. One of the features dropped was Windows Mail, a basic email client which had been available in Windows Vista. It was not replaced by a version of Outlook, either – Windows 7 simply shipped without an email client. This of course means that if you want a free email client you’ll need to find one on your own. There is a large selection of email clients available, and in general they will do their job. The best email clients Make Gmail your Default Desktop Email Client (Windows) Make Gmail your Default Desktop Email Client (Windows) Read More for Windows 7, however, distinguish themselves by having a user-friendly interface which is easy to understand and navigate on a daily basis. Note: We’re only looking at dedicated e-mail clients. Gmail and other browser-based email services aren’t covered here. Not everyone needs a complex email program. The basic function of every email program is to display email. 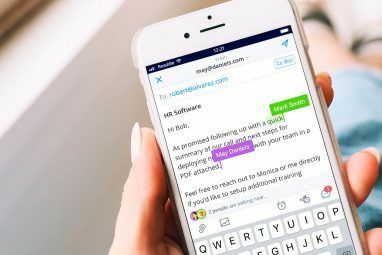 An email client which can display email quickly and simply with minimal fuss is always preferable to one which requires some tinkering – and that is where Postbox Express comes in. Check out Angela’s review of Postbox Express Postbox Express - A Free New Email Client to Challenge Thunderbird Postbox Express - A Free New Email Client to Challenge Thunderbird Read More . Like most email clients today, Postbox Express has a very simple install followed by a very simple login procedure. Just put in your name, email address and password and like magic everything else is detected. Postbox Express is not alone in this feature, however. What really impressed me was that Postbox Express was able to take all of my folders which were set up in my Gmail account and accurately reproduce them. The other email clients listed here, good though they may be, did not reproduce the folders correctly. Postbox Express also benefits from a very easy to use interface. It has a basic two-column design and supports tabs. A row of icons at the top of the program provides all of your basic functionality, such as replying, forwarding, deleting and etc. While this all seems obvious, other email clients in fact do not arrange these interface elements as well as Postbox Express. Another benefit to Postbox Express is how well the client conforms to different window sizes. Reducing the size of the Postbox Express window to only four hundred pixels wide and a few hundred tall doesn’t reduce the programs functionality. This isn’t to say that Postbox Express is perfect. While Postbox offers tabs, writing a new message opens a new window – something I find annoying. The performance of Postbox Express also seems to be below that of other email clients. I noticed that messages appear to take more time to open in Postbox than in other email clients here. Still, Postbox’s excellent interface makes Postbox Express a good choice for those who want a easy to use Windows 7 email client. Thunderbird, like Firefox, has become increasingly popular. What once started as a small project is now a free email client recognized world-wide as one of the best email clients for Windows 7 – or any other operating system. 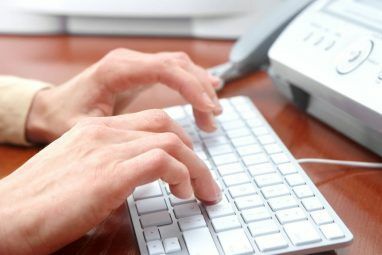 Setting up Thunderbird is arguably even easier than setting up Windows Live Mail, although the Create Account button in the setup is a little unclear if you are simply connecting Thunderbird to an existing account, not setting up a new email. Once installed, Thunderbird uses a familiar two-column format. The interface is compact overall, which makes Thunderbird easier to use effectively in a small window than other Windows 7 email clients. Emails can either be viewed in a small pane at the bottom of the client or can be double-clicked to open them in a new tab. Writing a new email will result in the opening of a separate window, however. Thunderbird supports many advances features. Tags, filters, fast search and smart folders are all included. Thunderbird also includes default email filtering features which will help sort out spam and scam e-mails, a unique feature among email clients for Windows 7. If your email server doesn’t already perform these actions – or simply doesn’t perform them well – Thunderbird can be a godsend. The extra options do make Thunderbird a tad bit more difficult to use, but it is still easy to understand after a week or so. Opera is the new Firefox 4 Cool Firefox Tools That Are Not Addons 4 Cool Firefox Tools That Are Not Addons Read More /Thunderbird. It has been around for quite some time, but now that Firefox seems to be gaining mainstream popularity many tech-savvy users are starting to name Opera as the new underdog which could upset the more popular browsers in the future. Speculation aside, what Opera offers right now is a very robust email client. Accessing it is a bit unusual, because it is accessed straight for the Opera web browser. This is inconvenient if you don’t use Opera as your web browser, and insanely convenient if you do. Setting up Opera is easy, the two-column interface is able to disable quite a bit of information in an understandable format at once. The way Opera renders HTML in the web browser is brilliant. Most email clients make me cringe whenever I receive a HTML-heavy email because they tend to be rendered poorly and are usually slow. Not so in Opera – HTML-heavy emails are crisp and speedy. Opera uses a tabbed interface which is the same as that of the web browser. This interface is a bit uncomfortable at first. For example, there is a column of icons on the left side of the interface which allow you to switch between contacts, mail, bookmarks and other views. It isn’t obvious what these buttons are for, even after you click on them. However, the interface does offer some advantages – for example, new emails open in tabs instead of new windows. Experienced users will find that Opera is very flexible once you get used to it. Verdict: Best Windows 7 Email Client? 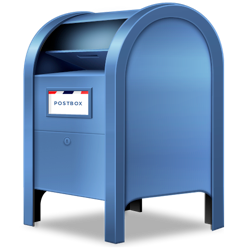 Postbox Express is the simplest and most straightforward email client for Windows 7. If you just want a free email client for communicating with friends and family, Postbox Express will work. However, Postbox Express’s somewhat slower performance may be an issue to people who read large volumes of email every day. Editor’s note: Users may experience slow-downs during the initial run, while Postbox Express is indexing your mail. Those who use their email for business or who receive large volumes of email will probably want to go with Thunderbird or Opera, both of which are among the most robust Windows 7 email clients available for free or otherwise. Which one do you choose? That depends. Thunderbird makes it easier to organize emails, and the filtering is wonderful if you seem to be receiving a lot of unwanted email. However, I like how Opera handles everything in tabs, even the composition of new emails, and the HTML rendering is beautiful. You may want to install both and try them out for a few days to see which one you prefer. Explore more about: Desktop Email Client, Email Tips, Mozilla Thunderbird, Windows 7. PostBox is only free for 30 days. I wouldn't really call it "free software". SimpleMail add-on ext. for Firefox/Palemoon is just like opera's easy to use and has icon in Firefox/Palemoons staus bar plus sound to let you know when mail im. PaleMoon is enchanced version for Windows OS based on Newest Firefox. SimpleMail add-on ext. for Firefox/Palemoon is just like opera's easy to use and has icon in Firefox/Palemoons staus bar plus sound to let you know when mail im.PaleMoon is enchanced version for Windows OS based on Newest Firefox. You should really consider eM Client. It' kinda like Outlook, and it's easy to use, and configure. Microsoft didn't drop the Windows Live features, it just made them downloadable rather than assuming you want them cluttering up your desktop. The beta for the new version is out now and so far, I'm loving the new Windows Live Mail. I use Thunderbird and like its web-browsing cousin, Firefox, it has a ton of "add-ins" like lightening a scheduler extension of Thunderbird. To me, the ability to add functionality to the mail client sets it apart from the others. I have also used the Zimbra desktop mail client when we were testing zimbra as a mail server. It seemed intuitive and very complete. I like Thunderbird a great deal, but to be honest its U.I. isn't the best and it can be overkill for somebody looking for basic email functionality. The best of the more basic clients I've tried has been Windows Live Mail. Dirt simple, with a clean U.I. to help novice users. There's also a Windows port of the Linux email client, Evolution. It's one of the better options I've seen for a complete Outlook replacement. Windows Live Mail and Zimbra should've been on the list too. I am surprised you write an article on Windows 7 and do not even mention all of the FREE software available in the Windows Live suite. Windows Live Mail is an excellent application and in fact replaced the Vista version of Windows Mail. Have tried many of the email clients mentioned here. The best of the lot is EM Client which nobody's mentioned. These seem interesting, but why would someone using Gmail on Windows7 use any of them? What's the advantage? In my opinion, a dedicated email client tends to be easier to navigate and has a quicker "feel" in most situations. Gmail is excellent, though - its just outside the scope of this article. I am currently being "forced" to use Google Mail with Firefox. I hate GM but not much of a choice. I tried Outlook but couldn't get comfortable with it. I had to give up my XP and with it went Outlook Express. I understand that there is a freeware version of Outlook Express out there, but I can't find it. I am 84 years young and sometimes it is hard to teach us "youngsters" new tricks! Oh, for XP back! Thunderbird needs to sell bumper stickers. where's windows desktop live mail? I'm looking for an email client that will allow me to schedule when emails are sent. Will any of the above do that for me? Thanks! I prefer Postbox. Built on Thunderbird, but with WAY better search capabilities, social integration and you can use all the Thunderbird extensions.